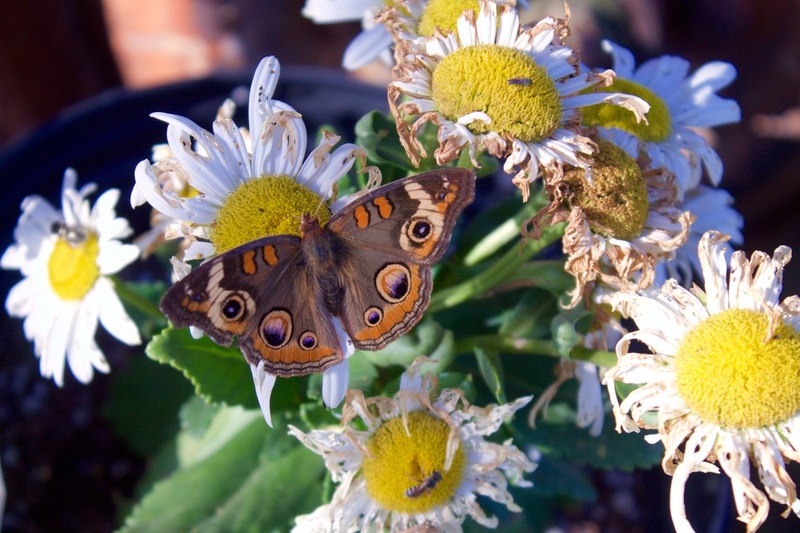 Buckeye Butterfly at the pumpkin patch! 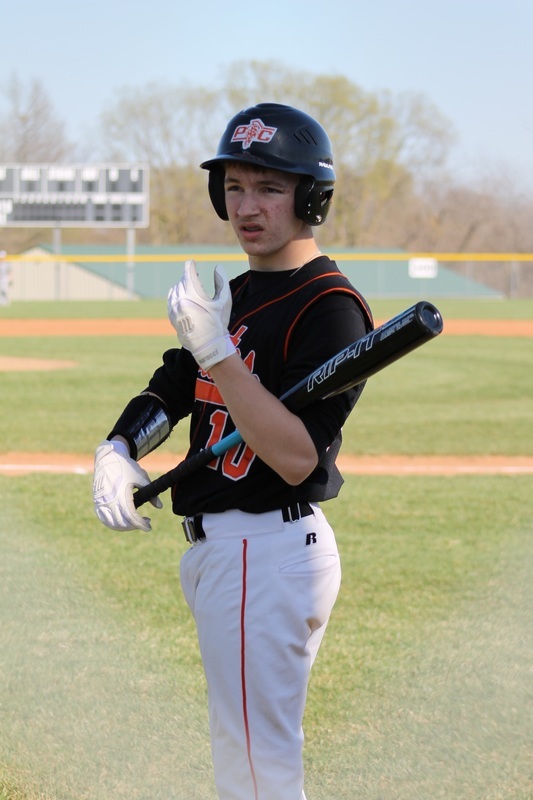 Luckily, I love to watch baseball, because that is what I have been doing every weekend with my youngest son, Ben. 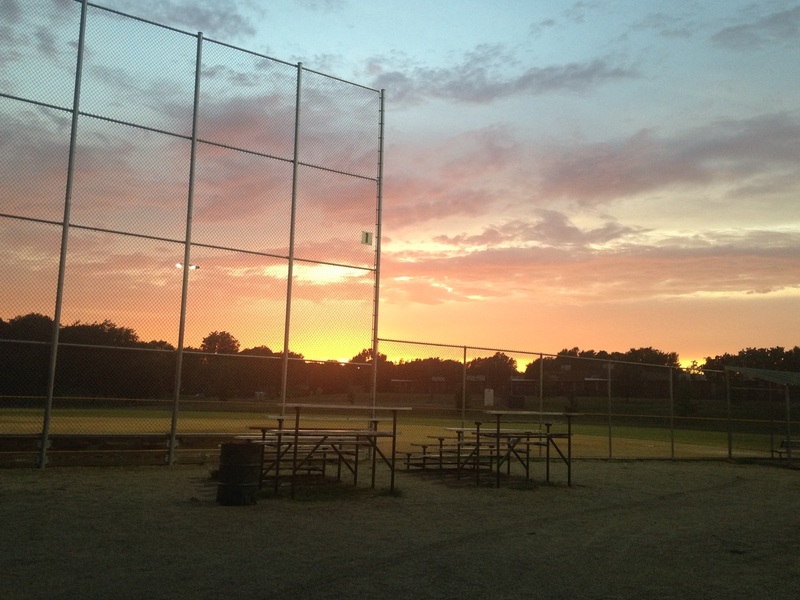 This great sunset was the payoff! April 10, 2016 Seeing Our Sailor off! 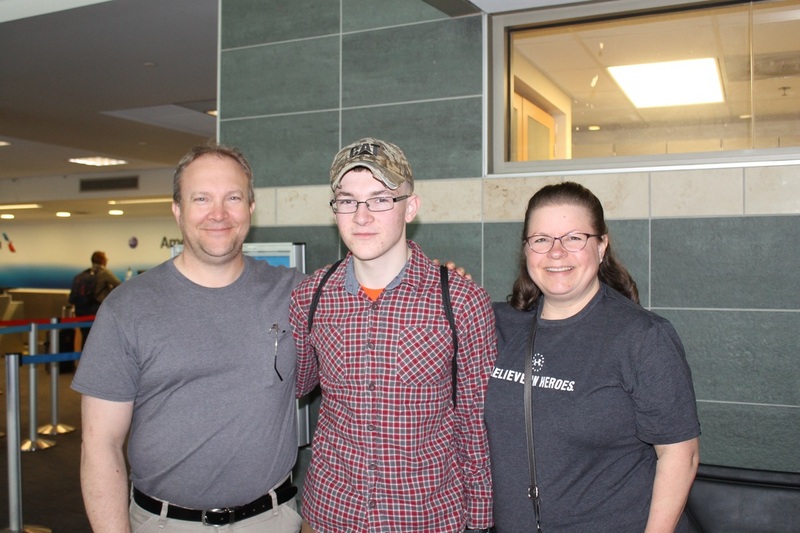 Zach is heading to San Diego, California for his duty station with the ACU 1! So proud of our sailor! This picture turned out so cool, the fencing caused a soft halo around the picture. April 10,2016 Proudly serving the USA! 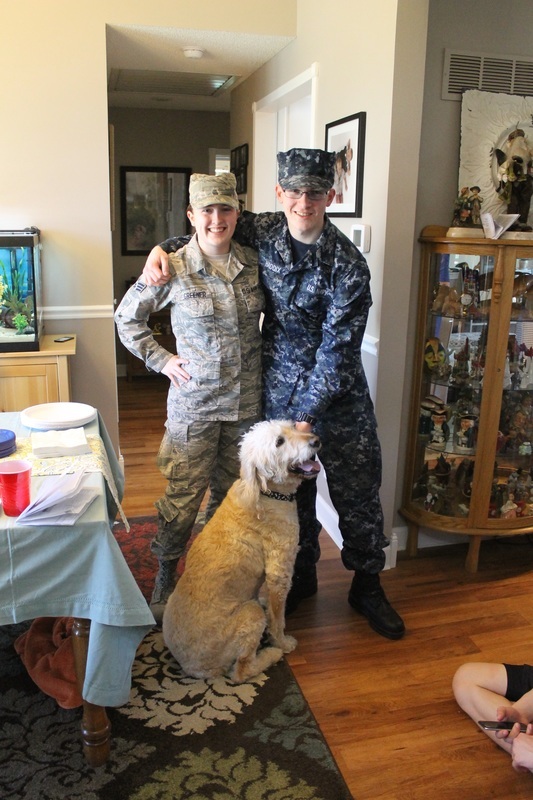 My niece Molly, Senior Airman in Kansas Air Guard and my son, Zach, Engineman in the Navy. Soon he will be stationed in San Diego, California. Today we were driving to Weston, Mo. and we passed this field where seven farmers had their vintage farm tractors out plowing the field together. You could tell they were very proud of their tractors and they were having a good time. It was a beautiful day for a drive whether it be in a Mini or on a tractor! 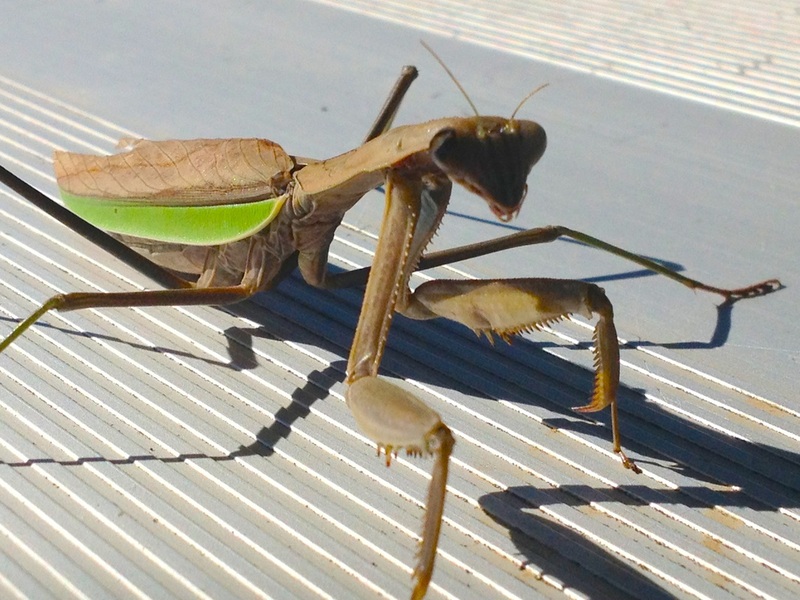 This guy was sitting on the bleachers at my son's baseball game. He would actually walk over to you and try to get your attention. 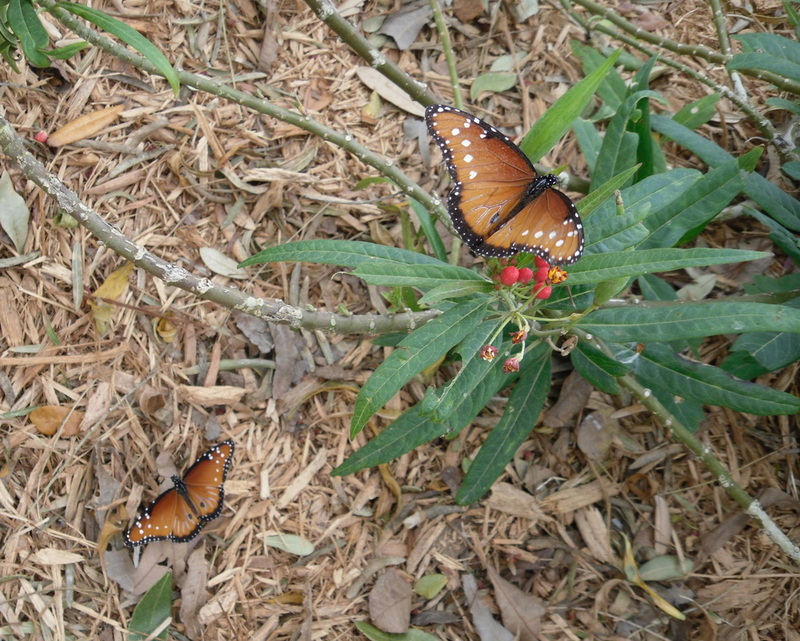 These are butterflies I photographed in Corpus Christi, Texas last Christmas. They are Plain Tiger or African Monarchs. 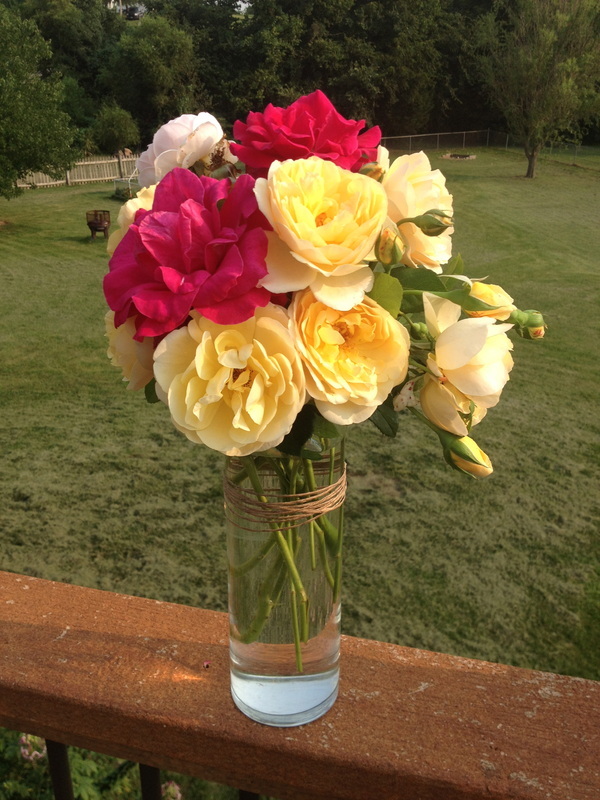 Newest cuttings from my antique rose bushes. 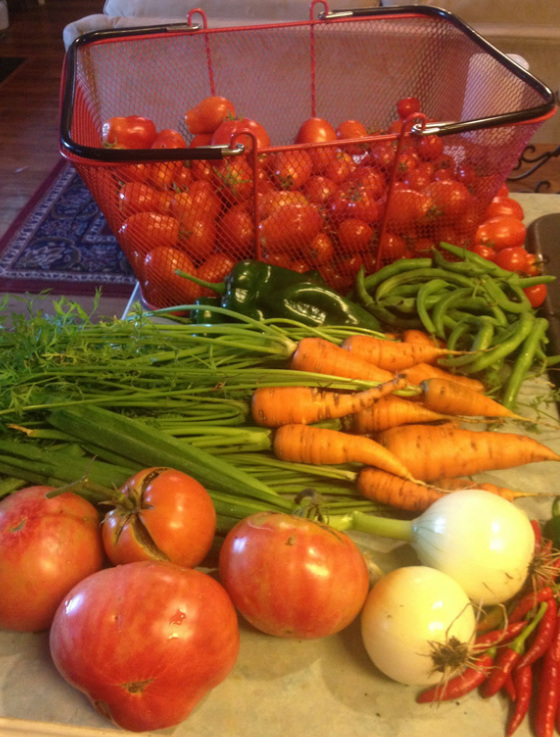 There is nothing like shopping in your own backyard for produce! 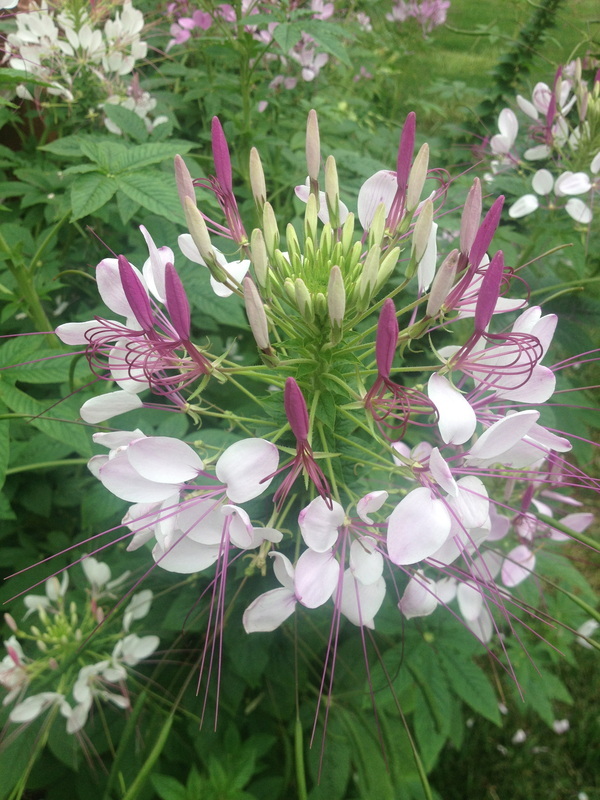 The Spider Flower is an annual that has reseeded itself for several years now in my garden. I collect the seed pods and share the seeds with my family and friends. These flowers attract bumble bees, butterflies and at night I have seen the Sphinx Moth gathering nectar. 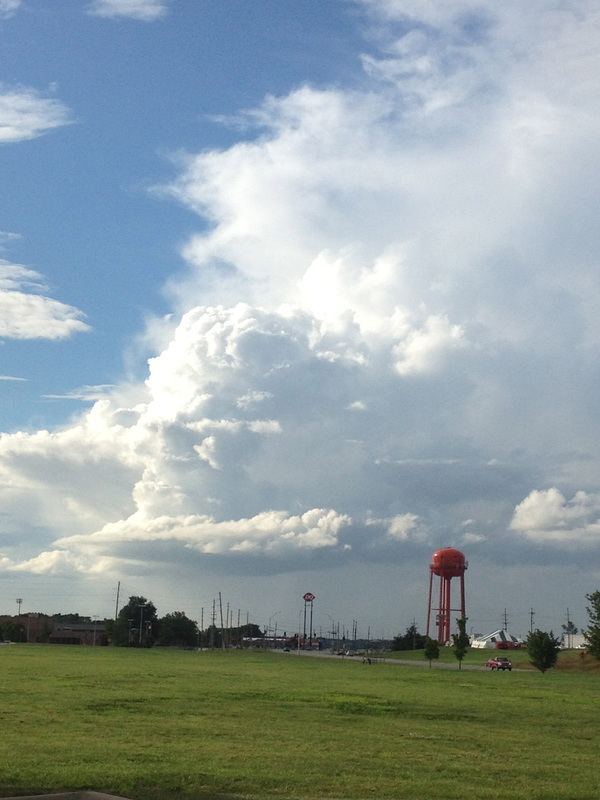 I was on my way to the grocery store when I saw these clouds, so I drove right past the store, until I had an interesting view. 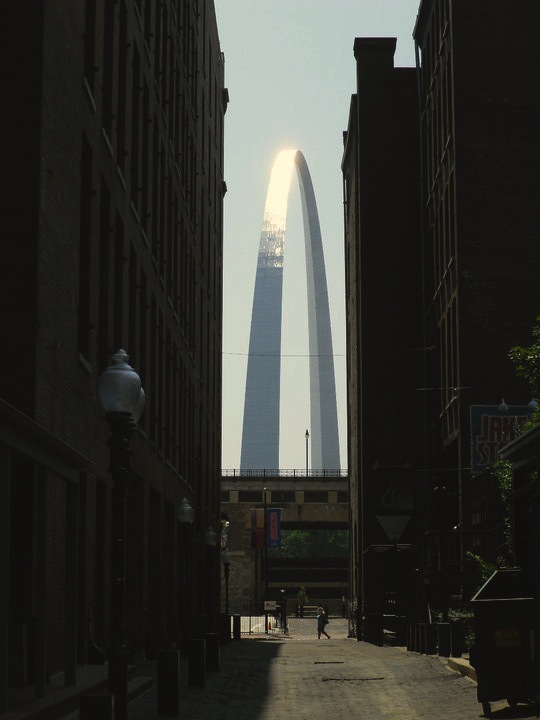 I love this view of the Arch! We turned the corner and there it was! this was from our vacation to St. Louis a couple of years ago. 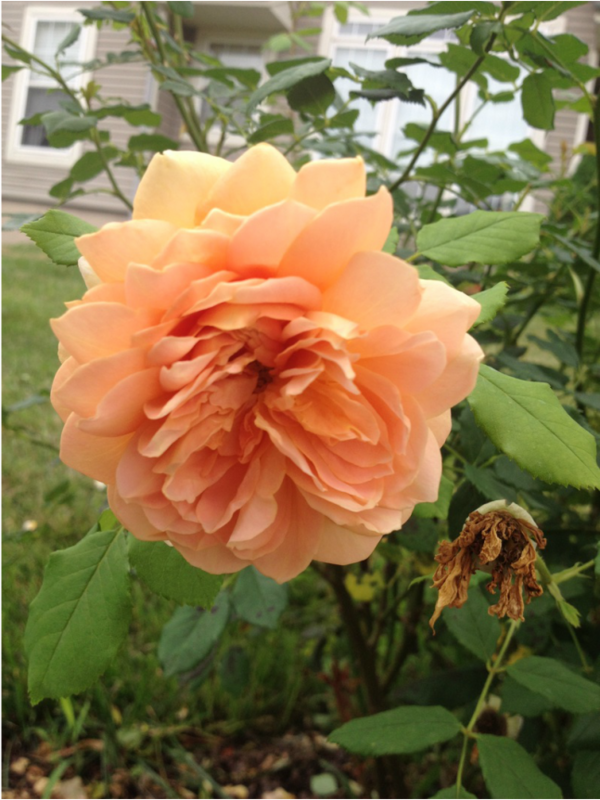 This rose bush is several years old and this year it was in it's full glory, covered in gorgeous blooms! They are also so fragrant! 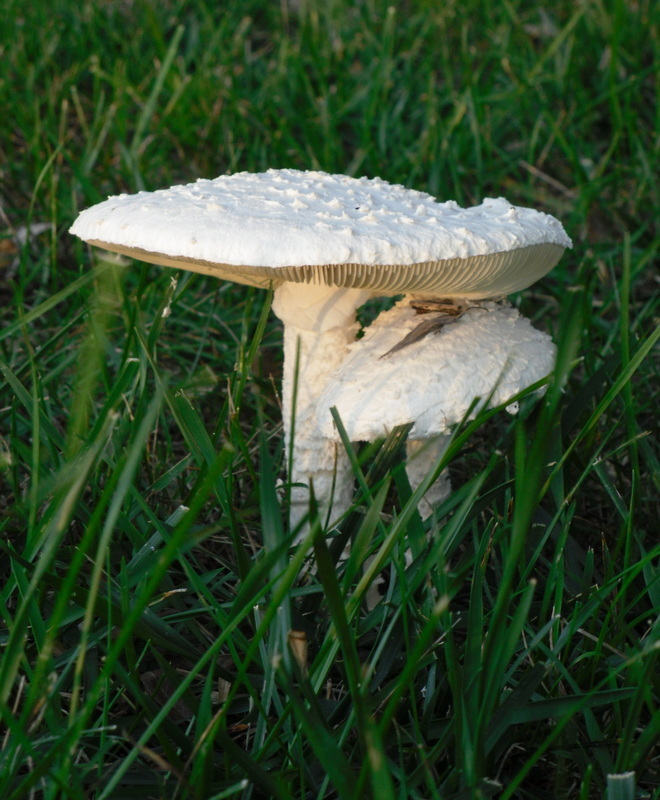 Last July, several of these white mushrooms appeared in my yard and my neighbors. Now I want to Photoshop in one of my gnomes! 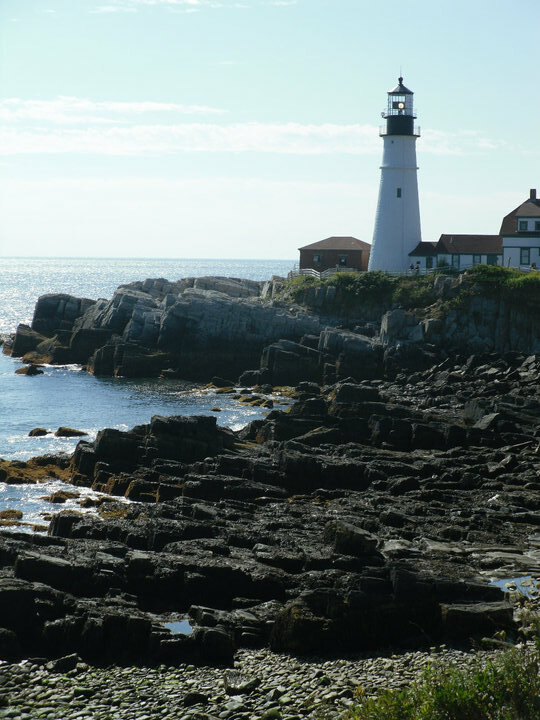 I have decided to start a new page and my idea was to share my favorite photo of the week. These will be pictures that I take. Let me know what you think! 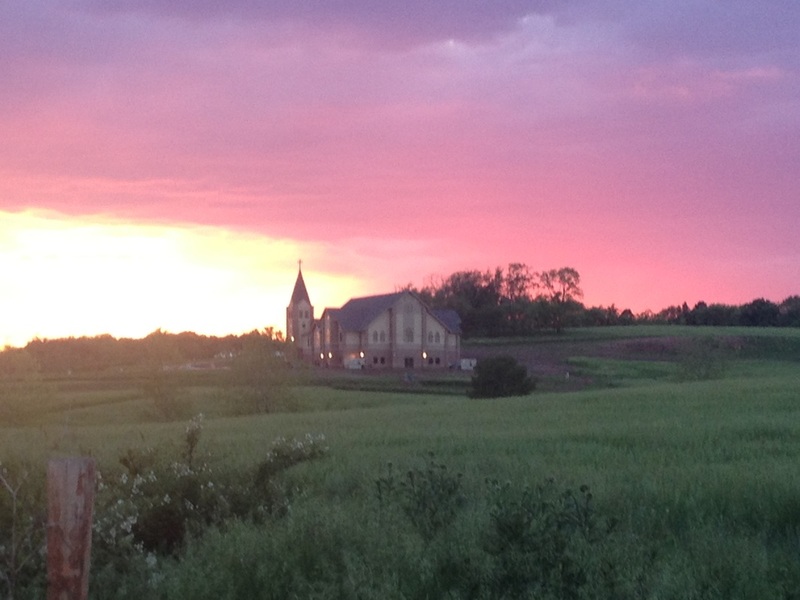 I love this newly built church! It looks like it has been here for years and it makes me feel like I am driving through the countryside in England and coming across a church that has been there for hundreds of years. It has a beautiful silhouette against the sunset. 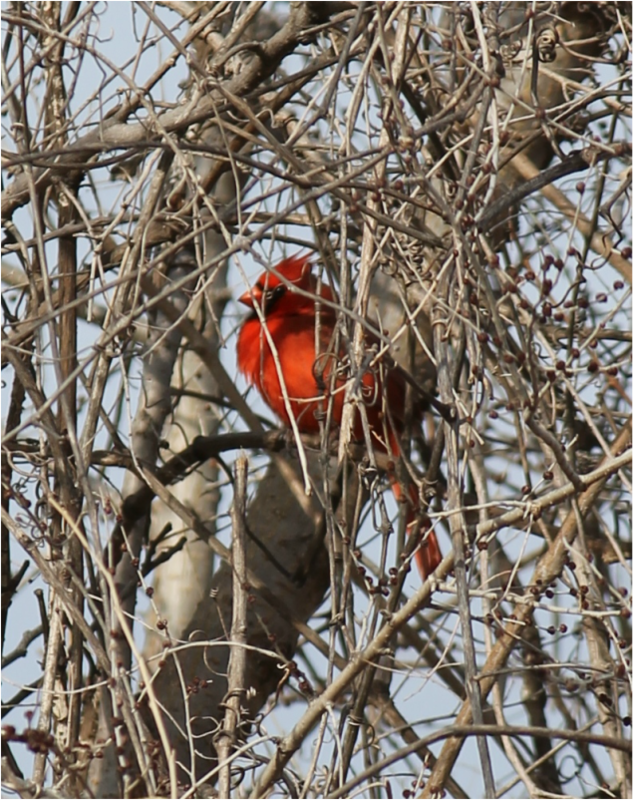 It is located on the outskirts of Platte City, Missouri.